Total shipping (tax excl.) See shipping at checkout. Professional study at an affordable price. Over $3,000 worth of content. $9.95/month. Over $1,650 worth of content. $5.95/month. Over $500 worth of content. $3.95/month. Move beyond basic searching, bookmarking and highlighting with: Google Maps, Word Study, Passage Explorer, Sync Panes, Greek Audio and the Explain Button. Learn more. Dive deeper into your Bible with tools and content you can trust. This image is for illustration only. This work has been revered by the Church and by scholars for nearly five decades. 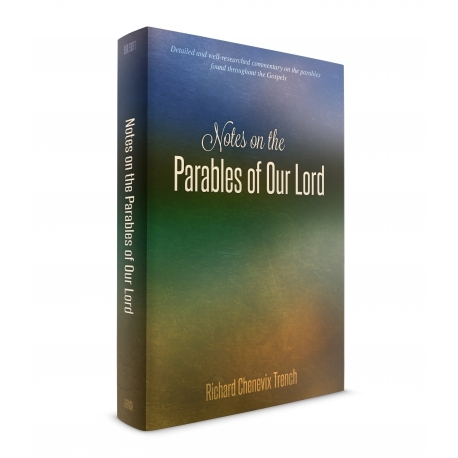 Trench’s work is a classic and stands alone when compared to other works on the Parables. Trench’s 30 parables provides a beautiful commentary full of rich applications that apply to everyday life. Richard Chenevix Trench was the Archbishop of Dublin for 21 years, Dean of Westminster Abbey for 7 years and a Biblical scholar. He was also instrumental in the creation of The Oxford English Dictionary. 5. Parable of the Leaven. 6. Parable of the Hid Treasure. 7. Parable of the Draw-Net. 8. Parable of the Unmerciful Servant. 9. Parable of the Laborer’s in the Vineyard. 10. Parable of the Two Sons. 11. Parable of the Wicked Husbandmen. 12. Parable of the Marriage of the King’s Son. 13. Parable of the Ten Virgins. 14. Parable of the Talents. 15. Parable of the Two Debtors. 16. Parable of the Good Samaritan. 17. Parable of the Friend at Midnight. 18. Parable of the Rich Fool. 19. Parable of the Barren Fig Tree. 20. Parable of the Great Supper. 21. Parable of the Lost Sheep. 22. Parable of the Lost Piece of Money. Be the first to write your review !